Shaving is possibly the most mind-numbing activity on the planet and waxing is probably the only flinch-worthy word in the dictionary. You’ve got to admit it. Dealing with body hairs is the second most aggravating aspect of looking good. We won’t call it the first. That distinction is reserved for a bad hair day for women and balding for men. Regardless of your gender, you’re here because you’ve decided to put your furry foot down and do something more permanent about your body hair. You’re here to explore that mythical pot of gold at the end of the rainbow – hair removal. 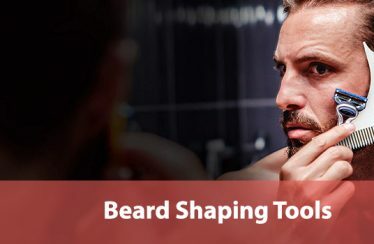 Well, you’re about to start your journey over the rainbow, so you might as well wave a hearty goodbye to all your stubble struggles. As you go through this incredibly comprehensive guide, you’ll learn everything that you’ll ever need to know about hair removal. You’ll have all your questions answered and concerns addressed. So, without further ado, we’ll dive into it. Here’s a road map to this guide for your convenience. How Popular Is Hair Removal? How Popular Is Hair Removal? Does Hair Removal Work for Everyone? How Painful Is Hair Removal Really? What Are the Risks Associated with Hair Removal? Which Body Parts Can You Use Hair Removal On? How Many Hair Removal Technologies Are There? How Can You Get Hair Removal? How Much Does Professional Hair Removal Cost? Are Home Hair Removal Products Worth It? Why Are Multiple Hair Removal Sessions Needed? How Should You Prepare for Hair Removal? What Should You Expect After Hair Removal? How Popular Is Hair Removal? Let’s allay your most basic doubt: is hair removal worth it? We’ll do this with some quick statistics. Incidentally, hair removal ranked third for both males and females in 2016. From 2016 to 2017, even though the procedure’s ranking dropped one level, the number of hair removal procedures actually grew by 14.8%! Hair removal ranked third for females and fourth for men in 2017. According to an old study, 71% of the people going through hair removal procedures are satisfied with the results. This number is comparable to people’s satisfaction levels when it comes to waxing and electrolysis. When people vote for something with their money at such a scale, you can’t help but listen. In a nutshell, hair removal works and is well worth the money, effort, time, and pain it will demand from you. Now that we’ve shown you how successful it can be let’s explore how hair removal works. Hair removal is based on two principles. The first is that darker substances absorb more energy than lighter ones and the second is that absorbed light energy is converted into heat energy if it has no outlet. In hair removal, the light of a specific wavelength is targeted at the skin. This concentrated beam of light is absorbed by the pigment melanin that is present in the hair far more than it is on the skin. Subsequently, since it has no outlet, the absorbed light gets converted into heat energy that ends up damaging the hair and the hair follicle it sprouts out of. This is primarily why the smell of burning hair often accompanies hair removal procedures. Damage to the hair and the hair follicle causes it to fall off after a while. Further, damage to the hair follicles slows down their ability to grow new hair. Eventually, the damage increases until the follicles are unable to grow new hair completely. Because of the nature of hair removal technology, it isn’t ideal for everyone. This means that some people will respond better to hair removal procedures than others. In practice, this means quicker results and less discomfort. The quantity of melanin is the main differentiator. People with less melanin in their skin and more melanin in their hair respond better to hair removal techniques. In practical terms, this means lighter skinned and dark-haired people, respectively. The best, obviously, is the combination of both these variables. This combination creates a contrast that is perfect for hair removal therapies because it causes the skin to reject the concentrated light and the hair to absorb more of it. If the skin contains a lot of melanin and absorbs too much of the directed light, it can end up scalded or even burnt. The lesser the contrast between the skin tone and the hair color a person has, the more difficult hair removal will be for them. As it is, hair removal treatments are difficult for people with darker skin tones and virtually impossible for people with grey, light blonde, white, or red hairs. A lot of people fear hair removal because of pain-related misconceptions surrounding the procedures. For some reason, people assume that the pain is excruciating and difficult to endure. While hair removal treatments are only painless for people with the perfect contrast between their skin tone and their hair color, for the majority, there is only minor discomfort and no real pain. Even for those who feel pain in hair removal treatments, its intensity falls somewhere between the excruciating pain of waxing and the virtually null pain of shaving.Anecdotally, most people describe the pain as the feeling of a rubber or elastic band being snapped against their skin. It is also important to remember that the pain doesn’t last long. It starts receding right after the treatment and disappears completely within a few hours. It recedes even faster if you pay attention to pre and post care. Hair removal is a safe procedure. It doesn’t really have side-effects, except for a little bit of discomfort. Even the minor discomfort varies from one person to another. How much discomfort you feel will depend on multiple variables including your skin tone, your hair color, how long your sessions were, and particularly how well you stuck to your suggested pre and post-session care plan. The main risk associated with hair removal is irritation in the skin. In the majority of cases, people describe this irritation as identical to the feeling of getting sunburned. This makes sense because the cause of sunburn is the same,i.e. excess light and heat on the skin. Practically, this means redness in the skin, extra sensitivity, itching, and even minor swelling in some cases. You can deal with this form of skin irritation in the same way that you would treat sunburn. This means cooling and soothing the skin and keeping it out of the sun or other heat generating scenarios. In severe cases, where the wrong hair removal techniques are applied, or substandard equipment is used, there could be some blistering, scarring, and scalding too. However, these cases are quite rare. Further, skin discoloration can also occur in some cases. Skin discoloration occurs when the pigment melanin is affected by the hair removal treatment process. This discoloration usually shows up as darker or lighter patches on the skin. You should also note that discoloration mainly occurs to those people who don’t pay attention to their pre and post-treatment care plan. If you expose yourself to the sun before or after the treatment, you may experience temporary skin discoloration as well. You can use hair removal treatment on virtually any part of your body except for the areas around your eyes. This treatment is not recommended for areas surrounding the eyes because the intense light can damage them. The most common areas that hair removal treatments are used for include legs, arms, underarms, bikini region, neck, upper lip, chest, and back. If you’re going to be treating yourself with a home product, then you’ll need to pay attention to the treatment window. You’ll have to analyze the treatment window in terms of which body parts you’re planning to treat. Bigger windows are great for bigger body parts but problematic for smaller body parts and vice versa. Initially, hair removal was done with laser diodes only. However, in recent years, a new technology called IPL or Intense Pulsed Light has become prevalent. You’ll see most professional practitioners preferring one or the other, but some clinics offer both options open to their customers. Both technologies can be seen in consumer products too, although IPL is prevalent in that segment. The main difference between the two hair removal technologies is the source of light. While laser hair removal uses laser diodes, IPL hair removal relies on broad-spectrum visible light. There is some variation in terms of results too. Laser hair removal delivers results much faster than IPL. This is because of the inherent properties of lasers. Lasers are beams of light that can be concentrated to a specific point with great accuracy. The wavelength of the beam can also be controlled impeccably in lasers. This gives lasers a lot more penetrative power than broad-spectrum visible light. These qualities not only make them more powerful than IPL but also more dangerous. They’re more prone to cause burns and scars if they’re not used in the right way. 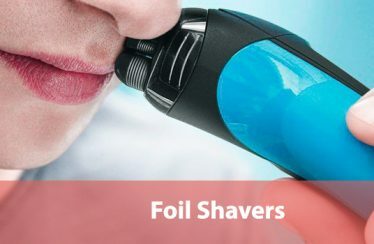 You have two options when it comes to hair removal – professional hair removal services and at-home hair removal devices. Both options have their pros and cons. Most professionals prefer laser hair removal because it is a more powerful alternative to IPL hair removal. If you choose professional services, then you’ll benefit from faster results and professional know-how regarding care and maintenance. However, you’ll also have to pay a lot of money for those benefits. If you choose to go with at-home hair removal devices, you’ll save tons of money, but will have to wait longer for results and exercise a lot of self-discipline. Since at-home users aren’t expected to have professional-level techniques and know-how, IPL hair removal is a better option for them than laser hair removal. When looking for an at-home device, you’ll get to choose from multiple hair removal devices with the majority of them based on IPL technology. You’ll still see a few laser devices, though, if you have confidence in your ability to handle the technology. The biggest problem with professional hair removal treatment is the cost. Professional services can cost you up to 10 times more than home treatment options. As per the American Society of Plastic Surgeons, you can expect to pay anything between $300 to $500 per session and you’ll have to sit through at least five to six sessions to get the right results. Further, there may be associated costs that vary from one clinic to another. For instance, you may have to pay consultation fees, medication fees, or other miscellaneous costs. Even once the treatment plan is complete, you’ll be required to get touch ups at regular intervals. Most people, who go through professional hair removal treatments, report spending close to $5,000 to $6,000 for the entire treatment plan. The vast majority of people, these days, choose to administer hair removal treatment to themselves by getting home hair removal products. They particularly appreciate its cost-saving qualities, but also like the measure of control it gives them. The most that you’ll have to pay for a top-quality, premium-level home hair removal product is $600. As a result, these products present huge cost savings, when compared to professional hair removal services. Further, the most modern home hair removal products are designed to be used repeatedly for life. This means that for about $600 you can get treat multiple body parts as and when you need to. Some even have the capacity for you to treat your family members when required. Further, since your investment will at most be only $600 with home hair removal, it makes sense to try these products before forking out close to $6,000 for a professional hair removal treatment plan. Another benefit of using home hair removal products is that some of them come with alternative, detachable heads. In addition to the hair removal head, they contain skin rejuvenation and acne control heads too. This makes many of these devices multipurpose and hugely beneficial at home. You just need to make sure that you have the time and inclination to be consistent with your home hair removal regime. This is particularly important because home hair removal products will require many more sessions than professional treatments to deliver the same results. If chosen right, home hair removal products are the best option for someone looking to get rid of unwanted body hair. If you’ve decided to try home hair removal products, then we suggest getting the PHILIPS BRI956/00 Lumea Prestige. It is, by far, the best, most successful home hair removal product in the market right now. You can read our review of this product and nine others in our Best Home Laser Hair Removal Products Guide. The greatest perceived flaw of hair removal is that it is time-consuming. This is especially true if you compare hair removal to shaving or even waxing. However, this could be a little misleading. It is true that a laser or IPL hair removal session can take anything between one and two hours. Waxing and shaving, on the other hand, only require a few minutes. At the same time, after the initial five or even ten sessions of laser or IPL hair removal, you’re more or less free for the next few months. In contrast, hair almost always comes back within a few days of waxing and shaving. If you actually total the time spent per session and the number of sessions you’ll have to go through in your lifetime, you’ll find that laser and IPL hair removal treatments end up saving you a considerable amount of time. You’re probably wondering why you need to go through multiple hair removal sessions. Multiple sessions are needed because most people only see about 10% to 25% reduction in hair growth after the first session. If you don’t go through the entire treatment plan, you’ll see some reduction in hairs but not sufficient enough to satisfy you. Hair removal sessions don’t deliver results after the first session because of the way our hairs grow. Our hair follicles are not synchronized. They have a growth cycle consisting of three different phases. Different follicles are in different phases at any point in time. Unfortunately, they’re only responsive to hair removal techniques in one stage – the anagen phase. They respond best in the anagen phase because they contain the most melanin in this phase. Therefore, in the first session, the hair removal therapy hits follicles in the anagen phase but not follicles in the other phases. Other sessions allow the rest of the follicles to be treated when they hit their respective anagen phases. Preparing your skin for the hair removal process can speed up results and minimize discomfort. Professional hair removal practitioners will give their patients specific instructions to follow for up to six weeks before their treatment begins. Even if you’re planning to use a home hair removal product, following these same instructions can be hugely beneficial for you. Here are some tips for preparing for hair removal. Laser and IPL hair removal technologies work best when there is high contrast between the skin tone and hair color. When you spend time in the sun or tanning booths, your skin tone darkens, reducing the contrast with your hair. Generally, professional hair removal practitioners advise their patients to stay out of the sun for up to six weeks before their scheduled session. Further, they ask the patients to wear broad-spectrum sunscreen at all times in the day. If you already have a tan, then you will be advised to get rid of it as much as possible. While staying out of the sun will help with this, you’ll also be asked to avoid sunless skin creams. If your tanning is particularly heavy, then you should even consider using skin bleaching creams to get rid of it. The lighter your skin, the faster and better your hair removal plan will work for you. You cannot combine laser or IPL hair removal treatments with other hair removal methods. These methods include everything from electrolysis to waxing and plucking your hair out. 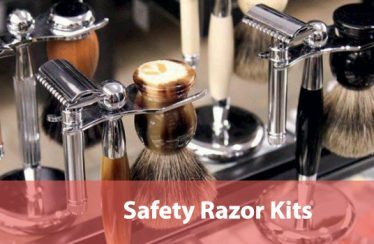 Other methods may affect the natural state of your hair follicles. This has the potential to not only interfere with the laser and IPL hair removal processes but also cause severe harm to your skin. Certain medications are sensitive to light. These are called photosensitive medications. For instance, the vast majority of blood thinning and anti-inflammation medicines tend to be photosensitive. Specifically, aspirin is a good example of the type of medicines you need to avoid. Taking these medicines before your hair removal treatment can be harmful because they’ll increase the chances of bleeding. Ideally, you should lay off these types of medicines for up to four weeks before your treatment. It is also advisable to shave a day or even a few hours before the hair removal treatment. Hairs above the skin can absorb the light, heat up, and cause burn damage to the skin. 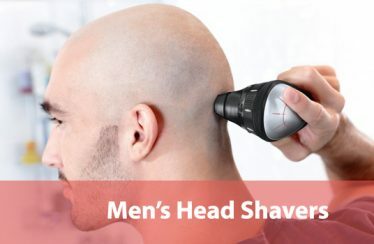 If you haven’t shaved, the burning hair will give off a strong smell as well. If your skin tone is darker, then you should also consider applying a numbing cream to the area you plan to treat. This will help you cope with the discomfort in your skin better. The numbing cream can counter the discomfort well, but you should remember that the discomfort will come back the moment the numbness passes. You can also use ice to numb the skin. After a hair removal session, you’ll still have to avoid exposure to the sun. Similarly, you should continue to use sunscreen in the day. If you see redness, irritation, or swelling in the skin, you can apply ice to the affected area for relief. You should also have a steroid or anti-inflammation cream ready to use in case of a breakout.